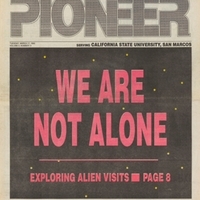 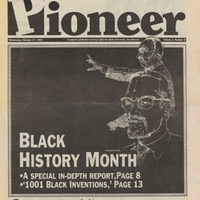 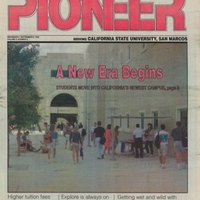 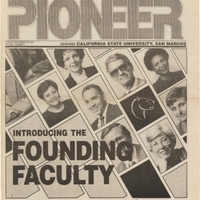 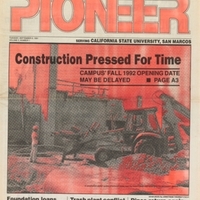 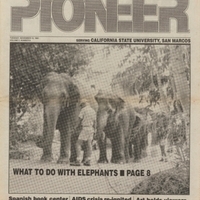 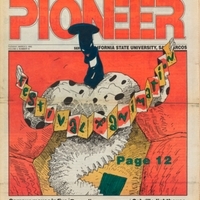 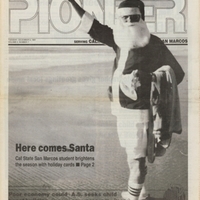 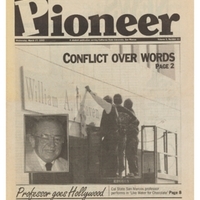 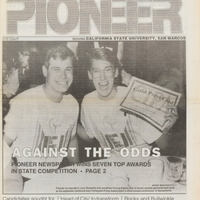 The Pioneer newspaper published forty-one issues between September 4, 1990 and March 17, 1993. 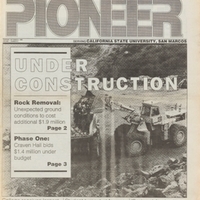 Click a link below to view the record of a specific issue. 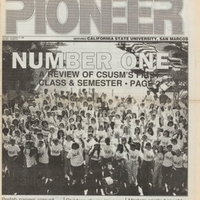 Volume 2, Number 4 of the first student newspaper on the CSUSM campus. 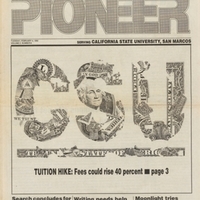 The cover story reports on the campus Renaissance Faire and campus fees. 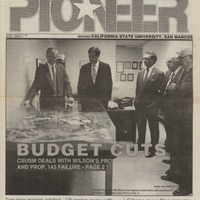 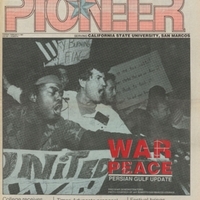 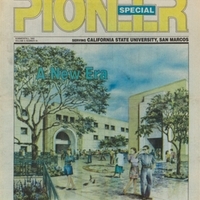 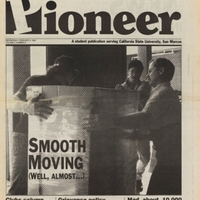 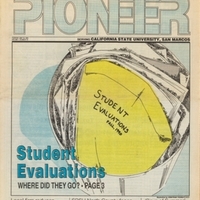 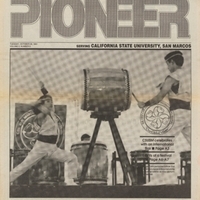 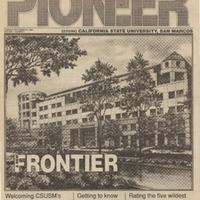 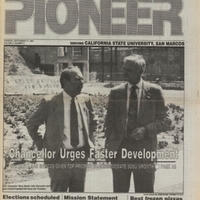 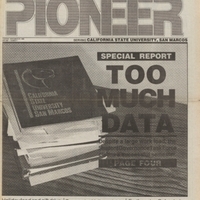 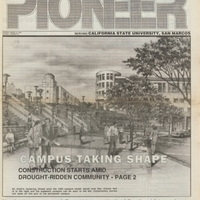 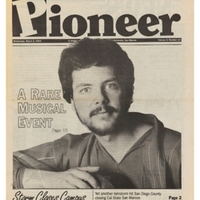 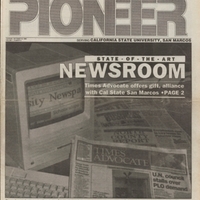 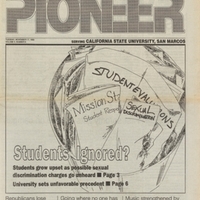 Pioneer Special edition of the first student newspaper on the CSUSM campus. 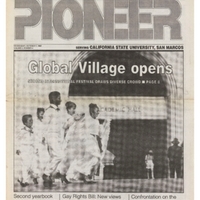 The paper focuses on CSUSM's first annual International Festival. 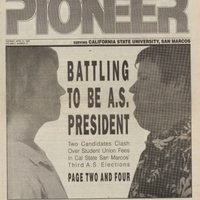 Volume 2, Number 12 of the first student newspaper on the CSUSM campus. 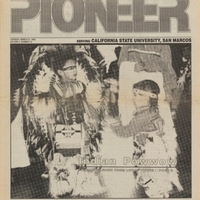 The cover story reports on an Indian powwow and a student election. 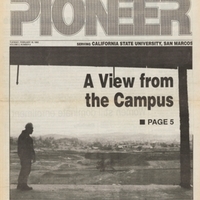 Volume 3, Number 4 of the first student newspaper on the CSUSM campus. 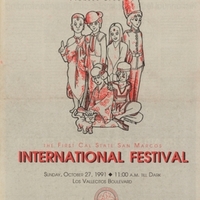 The cover story reports on the annual International Festival. 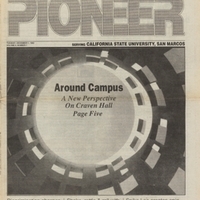 Volume 3, Number 5 of the first student newspaper on the CSUSM campus. 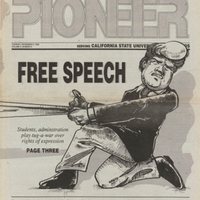 The cover story reports on campus debate over free speech. 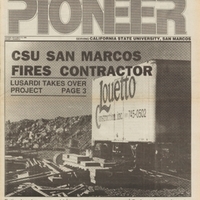 Volume 3, Number 10 of the first student newspaper on the CSUSM campus. 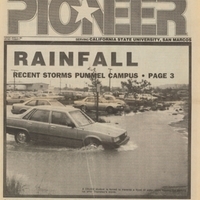 The cover story reports on musical events and intense weather conditions.